The Nieuport 10 was a French biplane general purpose aircraft and trainer, in service during World War I. In January 1914, designer Gustave Delage joined the Société Anonyme des Etablissements Nieuport, and started to design the series of aircraft that made him and the company famous. The first of these was the Nieuport 10, originally designed to compete in the Gordon Bennett Trophy race of 1914. World War I caused this contest to be cancelled, and the type was developed as a military two seat reconnaissance aircraft that entered service in 1915. Many were converted or built as single seat fighters by covering the front cockpit, and adding an upward firing Lewis machine gun to the center section of the top wing. In this form, the type was used as a fighter. Two types were developed from the Nieuport 10 - the Nieuport 11 Bébé - a smaller aircraft, designed from the outset as a single seater, and the Nieuport 12 - a more powerful two-seater. Nieuport X.B: Early designation distinguishing it from an earlier unrelated monoplane designated Nieuport X.
Nieuport X.AV: Early company designation later dispensed with. This model has the observer/gunner seated in the front and the pilot in the rear. Nieuport X.AR: Early company designation later dispensed with. The pilot was seated in the front and the observer/gunner in the rear. Nieuport 10 A.2: Two seat reconnaissance (Artillerie) aircraft, same as Nieuport 10AR. Nieuport 10 C.1: Single seat fighter variant. 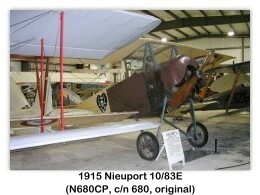 Inspired development of Nieuport 11. 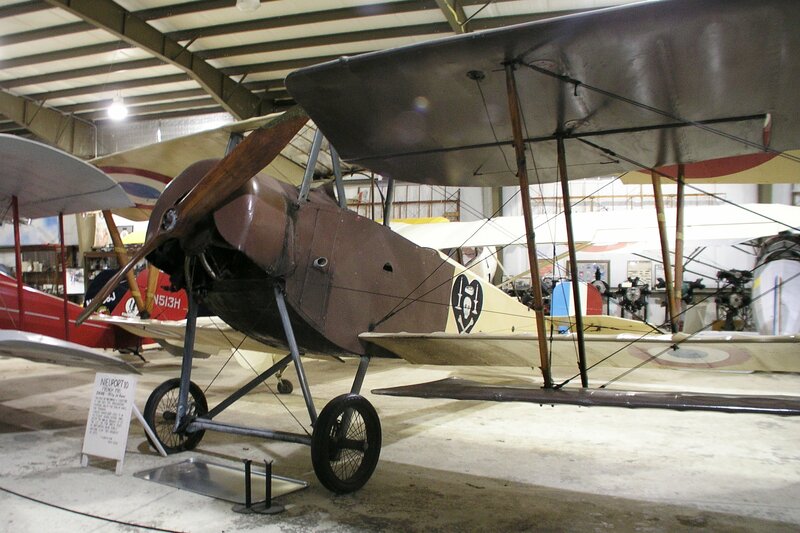 Nieuport 83 E.2: Purpose built trainer with substantial detail modifications. Nieuport-Macchi 10.000: Italian built Nieuport 10 with many detail modifications. 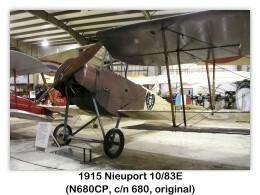 Nieuport 18 or 18 meter: Nieuport Unofficial description of basic type based on nominal wing area of 18 square meters. Nakajima Army Type Ko 2 Trainer: Nieuport 83 E.2 built under licence in Japan. Trainer Type 2: Siamese designation for imported Nieuport 83 E.2. Russian Empire: Imperial Russian Air Service - imported large numbers and built under licence. Imperial Russian Navy - ex Air Service aircraft. United Kingdom: Royal Naval Air Service - early user. 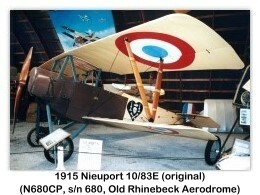 Note that the Royal Flying Corps did not use the Nieuport 10. 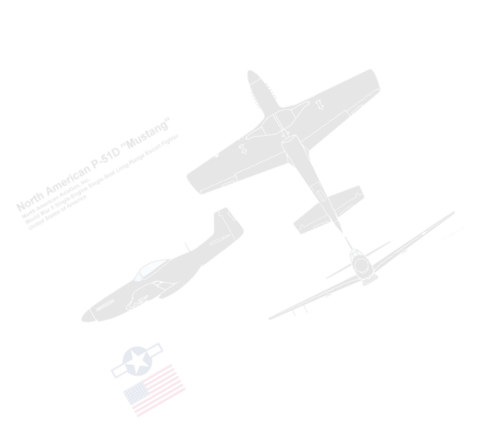 United States: United States Air Service of the American Expeditionary Force - used as trainers only. 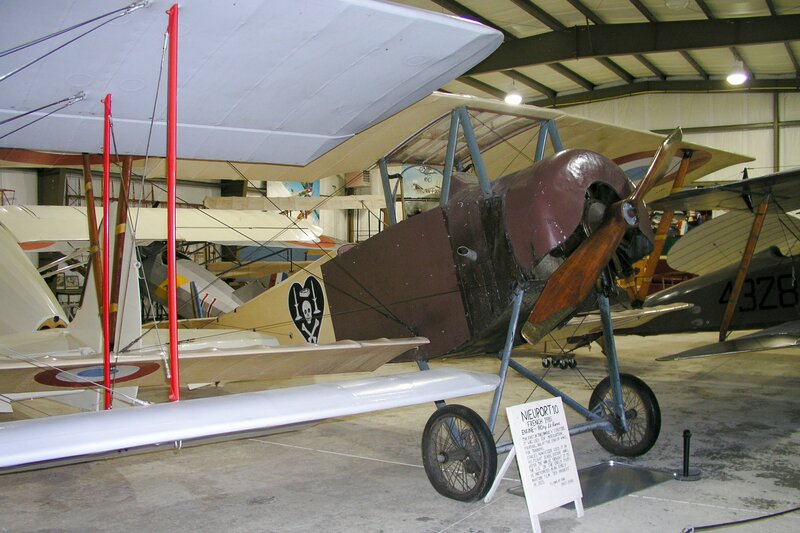 One original Nieuport 83 E.2, flown by Charles Nungesser while barnstorming, is preserved at Old Rhinebeck Aerodrome on static display. 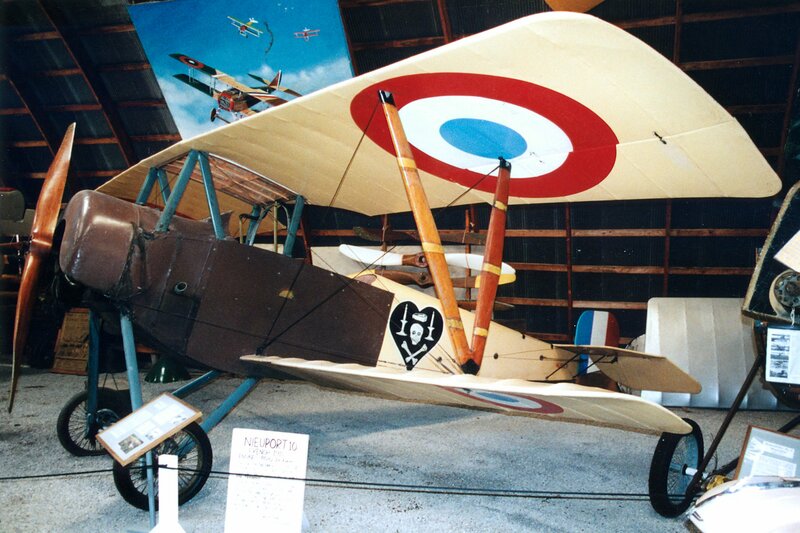 2 Nieuport-Macchi 10,000's survive in Italy, one at the Museo Storica de Guerra and one at the Museo della Scienza e della Tecnologia "Leonardo da Vinci".